I have a few questions. Not world changing, but things that just have me thinking. If you have any answers, please share. 1. Why, oh why, are there soooo many disgusting ads on the sidebar of websites?!? Oh, I know because of the money. But come on! I’m innocently trying to watch the cute puppy video and right there on the bottom of the screen are the disturbing ads for erectile dysfunction, diabetes discovery with little rocks indented in someone’s legs, the “cute child actors who are ugly now.” Really?!? Is this really what America has come to? The guys and I have been re watching the Band of Brothers series. Now these were real men. How have we come so far away from that? I don’t get it. (Or how about the ads that jump all over the screen, so when you try to touch the “x” to delete it, your finger, of course, hits the website. Ugh! ) 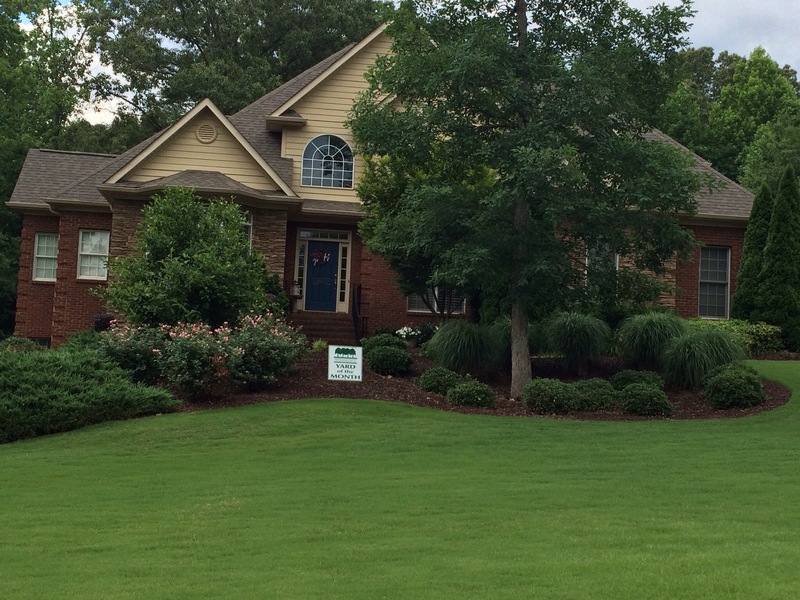 2.Why do we have a “Yard of the Month” sign in our yard? Superman and I have nothing to do with it! We pay a landscaping company to come every week to mow, trim and weed. Sure I plant pretty things, but I feel like a cheater. If we had spent our weekends sweating on it, maybe. Now the mulch is usually done by one of our sons as punishment for some knuckleheaded thing they’ve done. And besides all that, why is there even an award for such a thing? Does anyone really care? It isnt like this is something the neighborhood votes on. It is one person and maybe her family drive around and pick a yard they like that month. I don’t deserve to be noticed for something I didn’t do. I appreciate the fact she likes my yard. Thank you very much, but I think I may put the sign in her yard. 3. What makes a weed a weed? I have a small garden out back. I have tomato plants, beans, watermelon, cantelope and two types of lettuces growing. (The left and middle ones above.) The one on the right is from my Backyard Produce box. BYP is a weekly home delivery service of locally grown, organic foods. 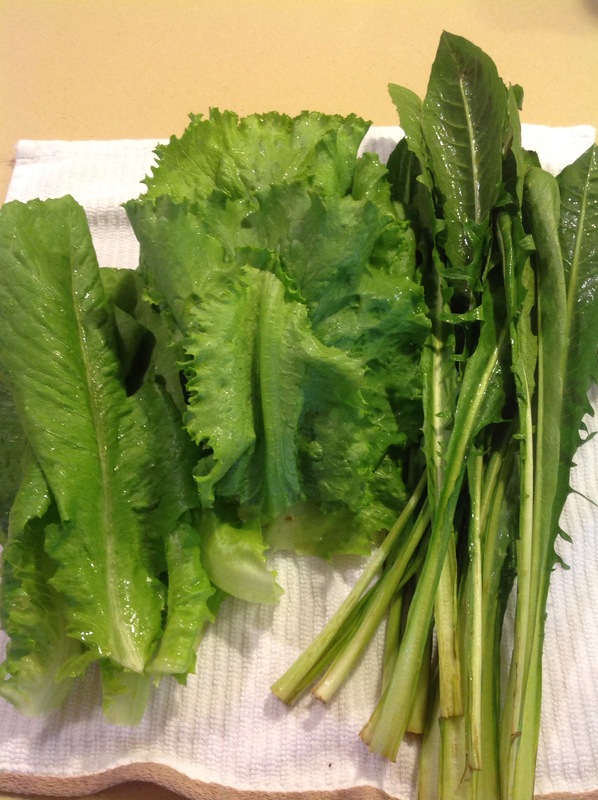 The bunch on the right are dandelion greens. I did a little research to find out how eat them. Dandelion greens are the same ones growing on the side of the road. The same ones we picked as a child and made wish on its flower as we blew it’s seeds. So here is this nutrient packed plant that someone somewhere decided was pesky and needed to be eradicated. Why? 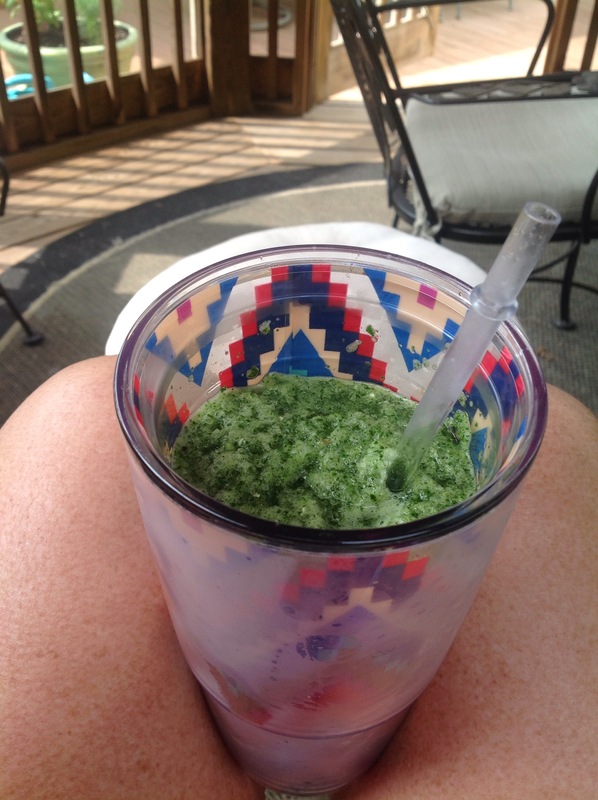 Besides having it in a salad, I could sautée them or make a green lemonade like I did above. I thought it was pretty refreshing, while Adam said it tasted a bit weird. So anyways, why do we spray weed killer on it and kale is hailed as king? 4. 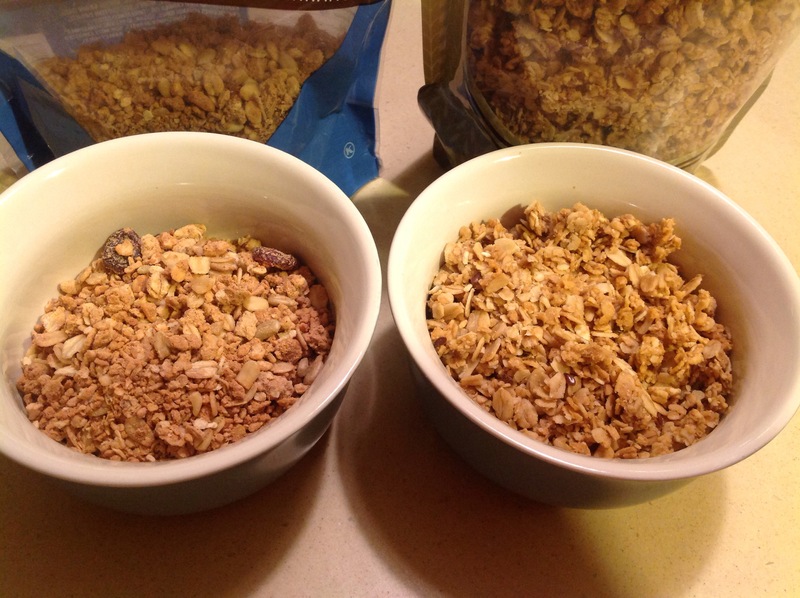 Why is buying granola so hard? As you can see, I’m actually trying to eat more healthy. 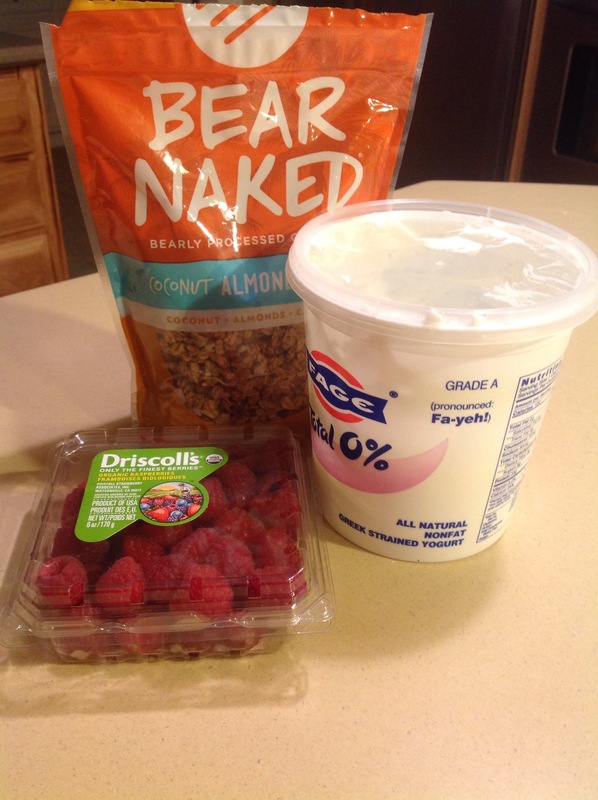 This is an example of a breakfast that I love to have…plain Greek yogurt, fruit, granola and a drizzle of honey. The granola up there looked promising…coconut, almonds and cashews…yum! Look in the window there. Oh Boy! I couldn’t wait! Then. Do you see what I see? Curry! Wha-what? Why? I opened the dumb thing hoping it was going to taste better than I thought. Nope. Not going on my yogurt. But seriously, do you see where they did the switcho-changeo? Cashews-Curry. Dang. So I went to my cabinet to see if I had any other granola. I had the bag on the left. Look closely. What is in that?! It looks and tastes like the leftover crumbs from the bottom of a cereal box with pieces of that cardboard box thrown in. It’s all kind of powdery and weird. Why is it still in my cabinet? 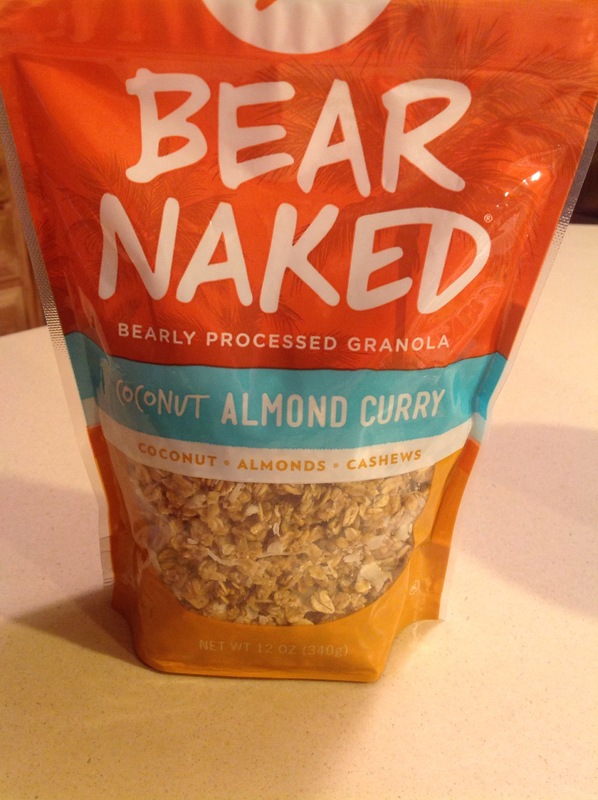 I went to my local grocery store today to find some decent granola. I found the one on the right, Blackberry Hill brand. You can see and name what you are eating. The handful I tasted was deeelishus! I know, I know, make my own. I can and I have, but sometimes I’m lazy and would rather just buy it. So there you have it, my burning questions of the day. Why, oh Why?! Posted on June 2, 2015 by mary •	This entry was posted in Uncategorized. Bookmark the permalink.